Unlike many central banks around the world, the Bank of Korea seemed less positive about issuing its digital currency. 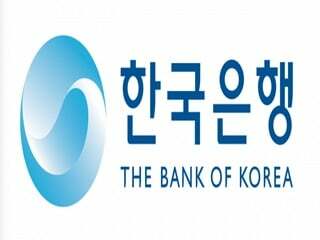 A report the Bank of Korea commissioned, warned over a possible erosion of financial stability once the central bank issues its digital currency. According to the authors, Kim Young-sik of the Seoul National University and Kwon Oh-ik of the Bank of Korea, the issuance of central bank digital currency (CBDC) would pit the central bank against commercial banks in attracting funds from the people. Unlike cryptocurrencies and virtual currencies, the CBDC has the legal tender status because the government issues the digital currency. It co-exists with the physical banknotes. The authors were negative over allowing people to open accounts with the central bank. All citizens will open accounts with the central bank and can freely deposit or withdraw the digital currency, and the central bank would pay an interest rate on the deposit. “This would reduce the people’s reliance on the commercial banks, which will face a shortage of funds,” according to the report. The report claimed that CBDC deposits would take away funds from banks, would reduce the amount of loanable fund at commercial banks, and lead to the rise in the lending rates. Once the lending rates rise, banks would reduce the amount of deposit with the central bank and instead use them in additional lending, the report said. However, the report said the central bank could maintain financial stability if it lends more money, corresponding to the amount of CBDC, to commercial banks. The report came out as the Bank for International Settlements (BIS) published a report that about 70 percent of the central banks worldwide were experimenting with the CBDC worldwide. The BIS identified the central banks in Sweden and Uruguay as being positive in issuing the CBDCs. The other reports show that once the CBDCs are issued, money transfers will be made in real time and without relying on banks and clearing houses. Banking competition would be ignited to attract deposits. The central bank could adopt a more powerful monetary policy.